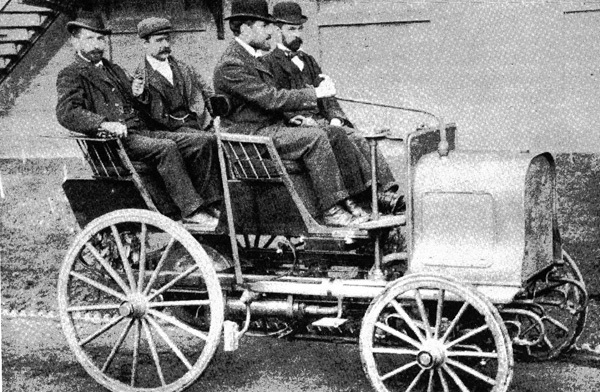 Daimler's first car photographed outside Motor Mills. Seated at the tiller is J.S. Critchley accompanied by A.J. Drake. In the rear are Otto Mayer and Head Tester Alfred (Uncle) Bush.